Released with the Centre for Economic & Social InclusionUS and authored by Natalie Branosky and Jane Mansour, this report is a 14-year retrospective on the UK’s Child Poverty Target, which builds on a UK study visit and comparative studies carried out by First Focus over the past five years. With a new legislative agenda for 2015, Congress has a fresh opportunity to address child poverty and inequality through cooperative, bipartisan means. 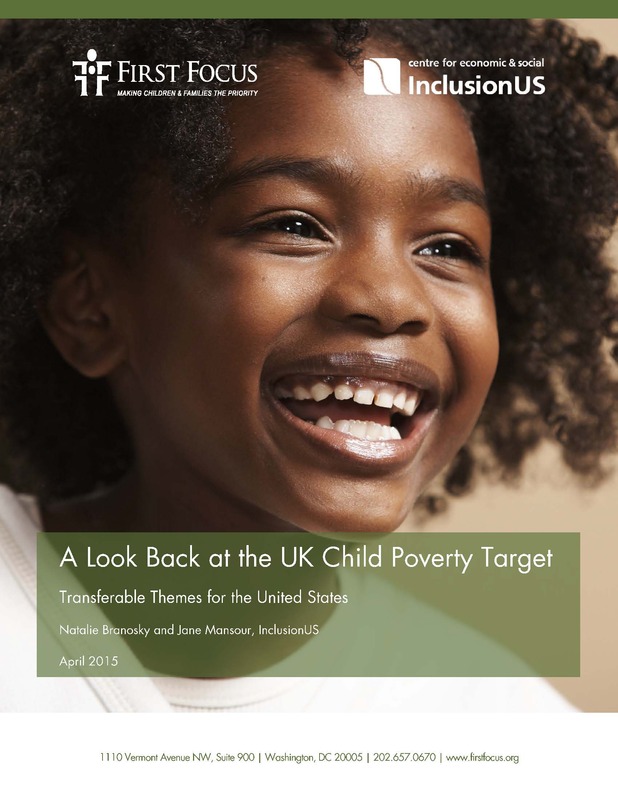 The UK’s Child Poverty Target is an example of a long-term policy goal, from a country that is an excellent international comparator for the United States given similarities in poverty levels, parliamentary process, policy development, and overall economic performance.